It seems like whenever it’s time to bathe your dog, they act like it’s the end of the world. 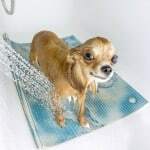 On one hand, it’s adorable just how much they hate the very thought of hygiene, but on the other, it would be nice to just get through the process without dramatic barking at least once. Whenever I would bathe Joey, he’d glare at me with his big eyes and act like I’m the most evil person in the whole world, but somehow we get through it. I’ve learned what to do over the time, and now the experience is actually kind of nice. Especially because I can keep him still for long enough to take a picture of his wet, silly face. 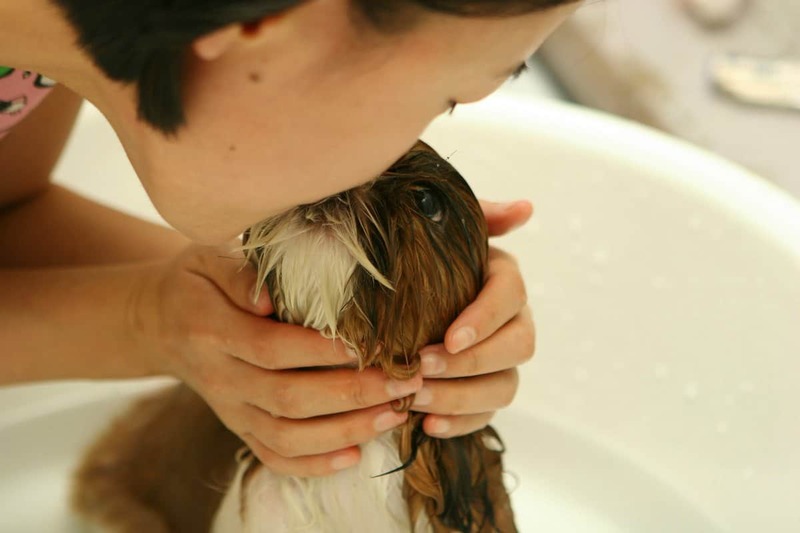 Since I’ve gathered some wisdom about dog bathing, I want to share a few tips with you. 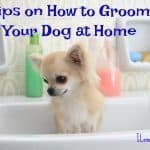 Start bathing them while they’re still a pup to get them used to the process. Check with your vet when’s the earliest time you can safely wash them, and then make sure to be gentle and playful and not to yell at them if they get nervous. Slippery paws might look funny to you, but your dog is probably terrified. Get a rubber mat for the bottom of the tub, and help your little pup get a firm hold. They’ll feel like they have more control. 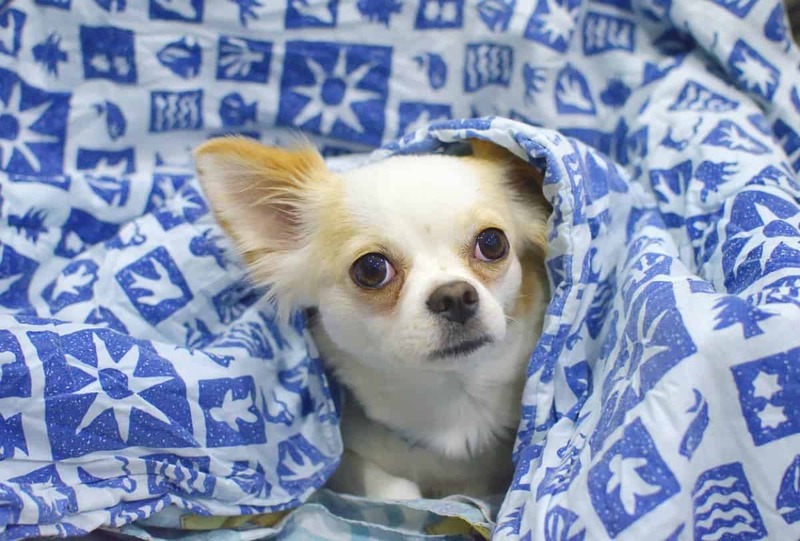 Since many chis are bathed in the sink, you can put a silicone baking mat in the bottom of the sink for this or even a hand towel. You also want to keep two towels ready, a smaller one to use in emergencies in case water gets into their eyes or ears, and a bigger one to dry them off once they’re done. Your scented shampoos smell divine, but they’re made specifically for you. Dogs don’t enjoy these strong scents, and their skin has different pH balance and is more sensitive, so they need different ingredients. The smell of lavender you so enjoy might make your chi anxious and irritable, so get them the right product. When Joey is supposed to get his bath, I yell “bath time” and let him smell the food. As soon as I get him into the tub, I take his favorite Royal Canin poultry treats and reward him for being such a good boy. I’m no longer the villain for bathing him, and he’s really happy to get a treat. 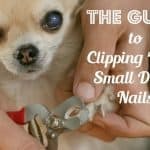 It’s a good idea to keep several of them at hand, so you can give them to your pooch throughout the process. Give your pup the first one only after you’ve put them in the tub. Sitting and waiting for the tub to fill will just make them nervous, especially when they hear that sound of rushing water. Fill the tub with warm water beforehand, and things will be easier. Believe me, you do not want to take your dog for a walk before they’re completely dry. If they’re anything like Joey, they’ll find the nearest mud pile and roll around in it with happy abandon. 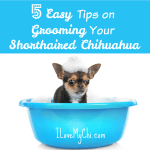 Towel them off as soon as they are out of the bath and let their fur air dry. 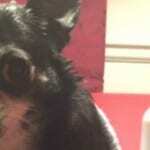 Blow dryers and dogs don’t mix very well. Dogs, same as humans, work really well when they have a routine to fall back on. Every bath time should follow the same steps. Announce the bath time to prepare them, kiss them and snuggle them, put them in the tub, give them a treat. 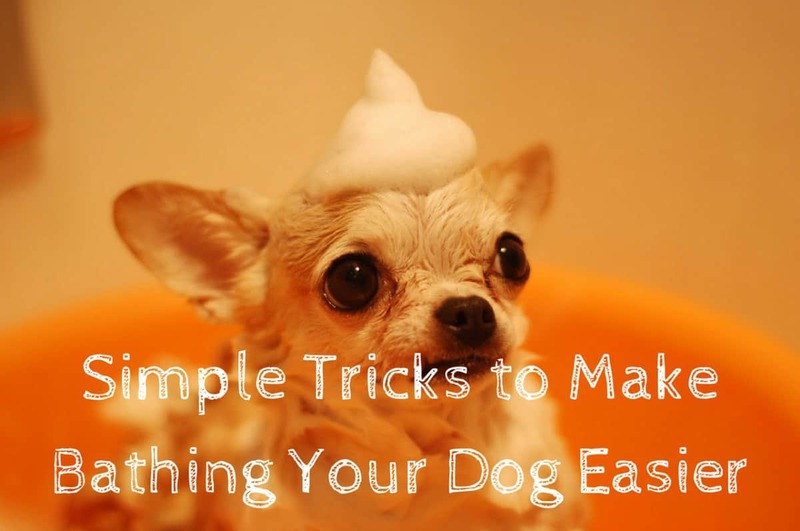 Wash them gently, give another treat during the bath and then towel them off. 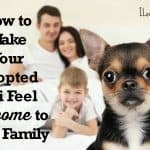 Let them run around happily as they shake off bath water all over your freshly washed curtains. Love, snuggles and treats – that’s your key to success here. Be patient and don’t yell at your dog. Turn the whole thing into an opportunity to bond, and you’ll both be happy and clean. Making things fun and routine is the key to getting them tolerate, if not like, all kinds of grooming activities.